River City Bank names Janette Moynier as the newest Senior Vice President, Premier Banking Manager. Janette’s industry knowledge and leadership within the community are the ideal combination to guide our premier banking team and provide the exceptional banking experience our clients deserve. River City Bank welcomes Janette Moynier as its newly appointed Senior Vice President, Premier Banking Manager. An established veteran within the Sacramento banking community, Moynier brings years of experience into her new role as she oversees River City Bank’s exclusive business banking services for high-net-worth individuals. Moynier has more than 25 years of experience in the Sacramento and Placer County banking industries and previously served as Vice President/Area Manager at First Bank in Roseville. She also sits on several community boards including Roseville Chamber of Commerce, Placer Care Coalition and served on the boards of the Downtown Roseville Partnership and Downtown Roseville Merchants Association. 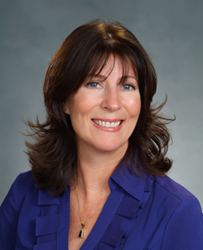 Moynier has lived in Placer County since childhood and currently lives in Granite Bay with her husband and son. She enjoys outdoor recreation, such as off-road UTV riding, camping, and hiking with family and friends.